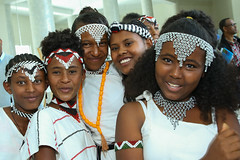 ADDIS ABABA, ETHIOPIA, 02 June, 2014 – The third Micronutrient Global Conference (June 2-6, 2014) has been discussing ways of overcoming micronutrient malnutrition. 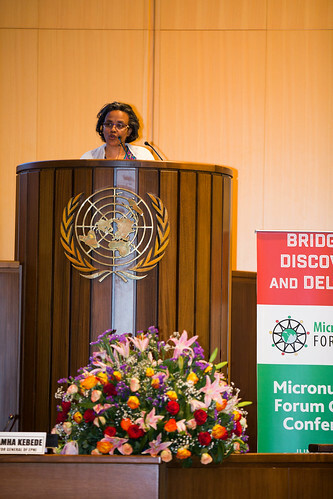 The forum, which brings together researchers, policy-makers, program implementers, and the private sector has been held under the theme of “Building Bridges”, thus emphasising scientific advances and multi-sectoral programming on adequate micronutrient intake. Integration of services for treatment of Severe Acute Malnutrition (SAM) into the national health system. Multi-sectoral approach: linking key line ministries, the private sector, civil society and development partners. Making sure that all decision makers understand that spending money on nutrition is one of the best investments in terms of human capital and economic growth. Political will on implementation of nutrition programmes. As the development community turns its attention to a post-2015 agenda, Dr Salama stressed that improving nutrition should become the quintessential Sustainable Development Goal (SDG). 40 UNICEF colleagues from many countries around the world, regional offices and headquarters participated in the Micronutrient Forum, presented poster and gave oral presentations on program implementation, best practices, operations research and partnerships. UNCIEF also is member of the organising committee and funder. 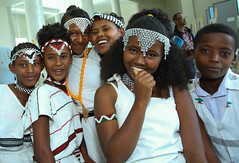 UNICEF Ethiopia provided funding and had various abstracts presented at the forum in poster form or oral presentation. Several staff moderated sessions on food fortification, salt iodisation and the translation of global guidelines into policy and programmers. 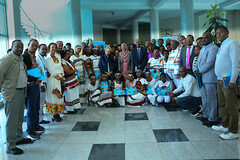 At a get together of all UNICEF staff, the colleagues shared observations about the forum’s contributions to their work and inter-country exchanges were set up. The Ethiopia sat down with the India country team and identified areas for exchange and support. This will continue after the forum ends. Micronutrient malnutrition, also referred to as “the hidden hunger” is a widespread problem in the world mainly affecting developing nations. According to WHO, micronutrient deficiency results in a poor pregnancy outcome, impaired physical and cognitive development, increased risk of morbidity in children and reduced work productivity in adults. 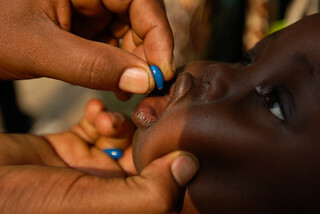 Globally, one third of children under-5 are vitamin A deficient. It is also estimated that more than 40 per cent of pregnant women and children under-5 are anemic, while one in four children under-5 years old (more than 160 million children worldwide) are also stunted. The third Micronutrient Global Conference looks into the challenges and opportunities for scaling up evidence-based policies and programmes from diverse sectors while discussing the effectiveness of nutrition-specific and nutrition-sensitive interventions to improve micronutrient intake and status. 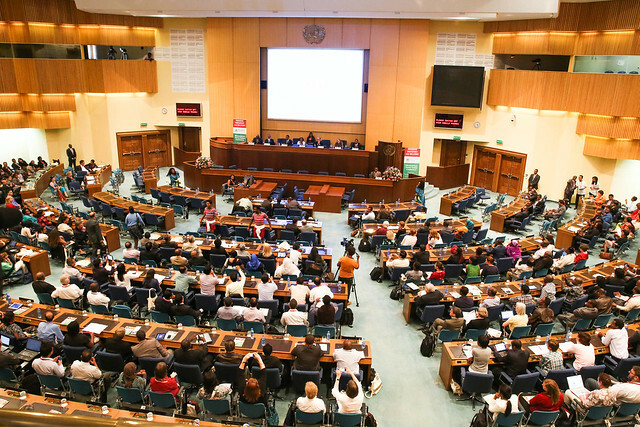 The conference also debates on evidence and methods for measuring micronutrient deficiencies, excesses and coverage, with implications for policies and programmes.